My Story card: Neil Maddock remembers first becoming involved with Mayflower Theatre. I am a local church minister who has a passion for the performing arts. That is why, when I heard about a possible opportunity at the Mayflower, I jumped at the chance to become the new chaplain. 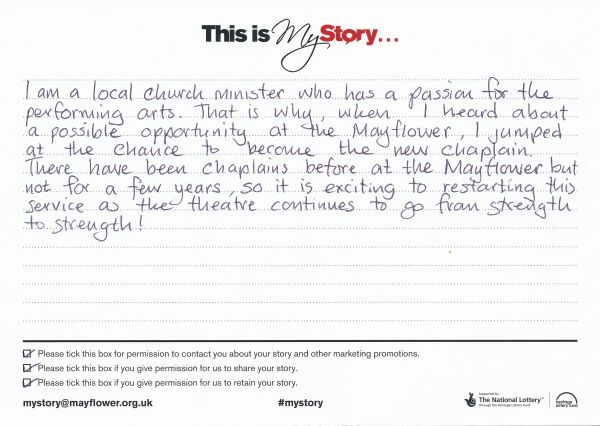 There have been Chaplains before at the Mayflower but not for a few years, so it is exciting to [restart] this service as the theatre continues to go from strength to strength!